The new lock screen in iOS 10 gives you unprecedented use of your iPhone. But if you can get this much access without unlocking it, so can anyone else. 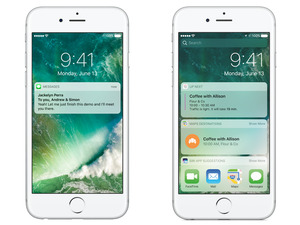 Apple has redesigned the lock screen in iOS 10 to give you quick access to your notifications, your camera, and a bunch of dynamic widgets. From the lock screen, the Google Maps widgets tells you how far it will take you to get home. 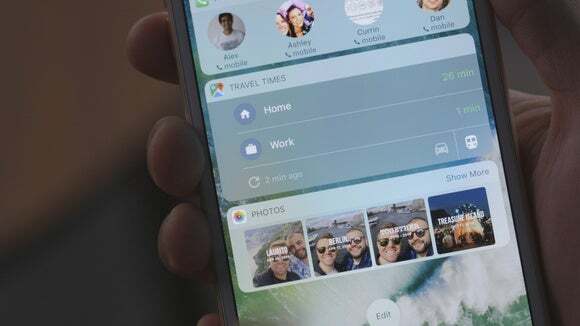 The Photos widget shows you thumbnails of your most recent Memories, from weird selfies to family trips. You can take a bunch of photos and search for a specific app. You can even reply to a message or cancel an Uber ride when you first get the notification. All this without even having to unlock your iPhone. What could go wrong? In this week's episode of The iPhone Show, Oscar takes a closer look at the possible implications of having the iOS 10 lock screen reveal so much personal data. If you can have unprecedented access to your iPhone, imagine what could happen if it were to land in the wrong hands. What do you think? Is this level of convenience worth potential compromises when it comes to privacy? How much personal information are you willing to have disclosed by your widgets? Let us know in the comments.